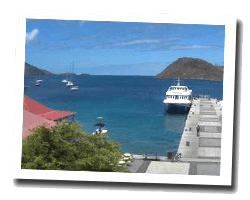 Island of Les Saintes archipelago, Terre-de-Haut offers wonderful beaches and turquoise Caribbean waters in a protected environment. The bay is considered as one of the most beautiful in the world. Pompierre beach, overlooked by Mount Morel, is a typical example of the paradise beach lined with coconut trees. 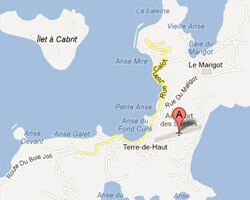 In Terre-de-Haut enjoy a seaview holiday rental.